Get the Amazon Brand Presto! 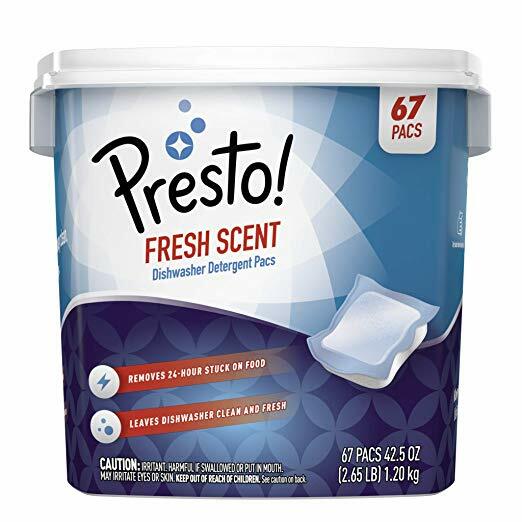 Premium Dishwasher Detergent Pacs – 67 count a lower price today at Amazon. This is one of the lowest prices that I’m seeing on this price history chart. Keep these in stock for your spring cleaning needs this season!